While awaiting the release of the May UFO from 52 Quilts, I am working on the quilt below. This is the Night and Day Pattern by Eleanor Burns at Quilt in a Day. It looks complicated, but the blocks actually went together very quickly. 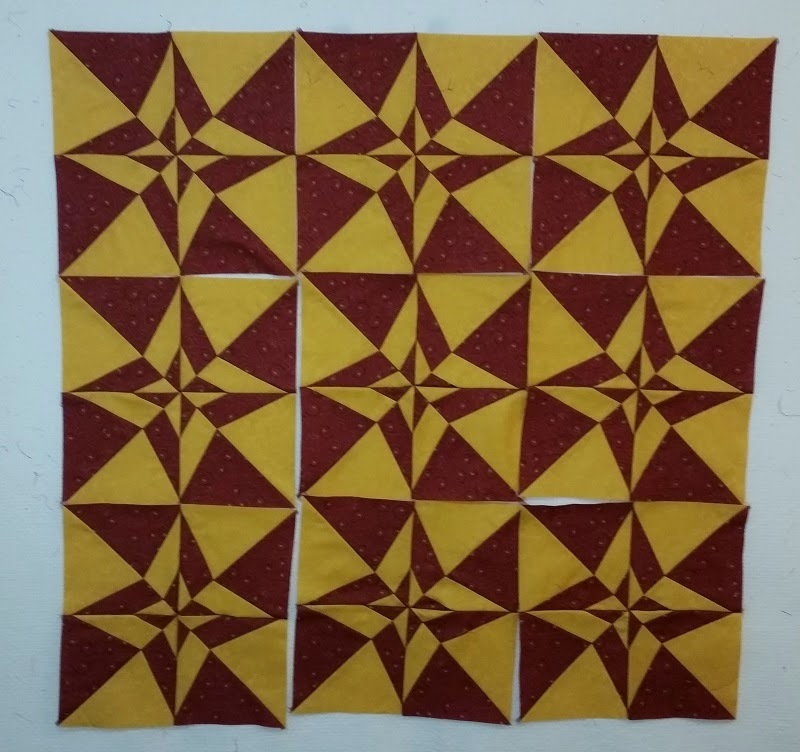 Blocks are complete, just need to sew the rows and then add three borders. Tomorrow is a day off, so hope to get this one complete and add to my Stash Report on Sunday! Is this a future 2015 UFO? It's great to be ahead on the list... I like the secondary designs that are created by the fabric placement.